Welcome To Advanced Environmental Group, Inc.
Our company provides a number of services to ensure a safer and more productive workplace. We have built our reputation on providing clients with quick and affordable solutions to address environmental, occupational health and safety (EOH&S) issues within an organization, during a specific project or process. By improving programs and mitigating risk in the short term, our clients will see a long term savings. 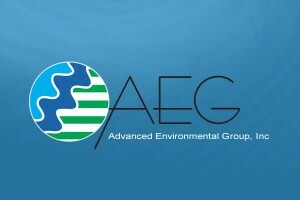 Advanced Environmental Group, Inc. (AEG) provides a wide array of services including: environmental, health and safety performance and system audits; phase I audits; hazardous building materials survey; development and launch of required regulatory programs, written plans, and training; environmental, personal exposure and health risk assessments; and, traditional industrial hygiene surveys. All of our services are performed in accordance with or recognized by the Occupational Safety and Health Administration (OSHA), United States Environmental Protection Agency (USEPA), National Institute for Occupational Safety and Health (NIOSH), and local air pollution control districts (APCD) e.g. South Coast Air Pollution Control District (SCAQMD). AEG also follows generally accepted industry standards, guidelines and methodologies, published by the American Conference of Governmental Industrial Hygienists (ACGIH), American Industrial Hygiene Association (AIHA), American Society of Safety Engineers (ASSE), as well as others. AEG strives to apply and use the latest “state of the art” technologies and monitoring instrumentation available to provide defensible results. Over the past decade, AEG has participated in planning and managing large scale pre-construction remediation projects by providing hazardous building material surveys, bid specification development and health and safety oversight. 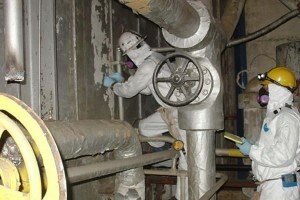 Pre-construction activities required full asbestos, lead containing paint abatement, stabilization and mitigation of other identified hazards. 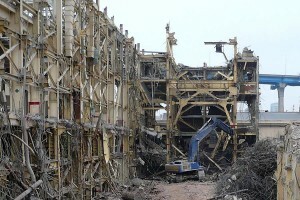 Once identified contaminants were cleaned up, partial or full dismantling of equipment within the buildings and or complete demolition of structures proceeded. AEG as the client’s representative provided a watchful eye to anticipate safety and other hazardous conditions assisting the contractor, protected workers, the general public and prevented serious accidents or incidents from occurring. AEG’s staff has many years of hands-on experiences with industrial processes, work practices and controls that extend through multiple industries including but not limited to manufacturing, technology, power generation and healthcare. We make every effort to protect our clients from immediate and future liability by mitigating risk and implementing change. To learn more about our company, take a few minutes to browse our site.